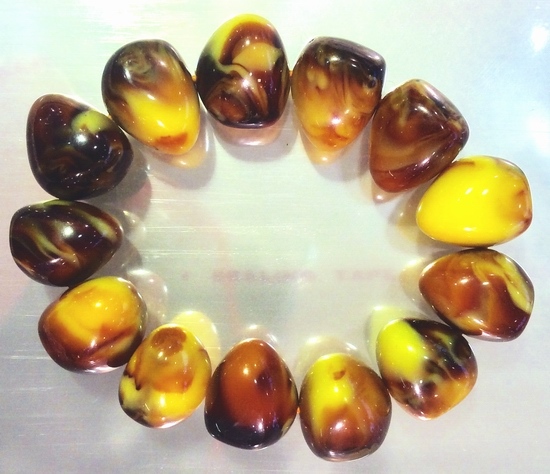 Price is bracelet of these chunky reconstituted amber beads, expands to fit all wrists. Vintage amber in design, not age! Measures about 2 1/2-inch diameter - with each bead around 20mm x 17mm x 18mm.